Краткое описание: Nintendo GOLF lets you choose your clubs, change your stance, control your swings - even select the angle of impact! You'll view the hole from both close up and far away, judge the changing conditions of the green, and measure the wind velocity. But watch out! When the wind changes, so does the flight of your ball. With Nintendo's state-of-the-art graphics and realistic game play, you'll really believe you're on the fairways. 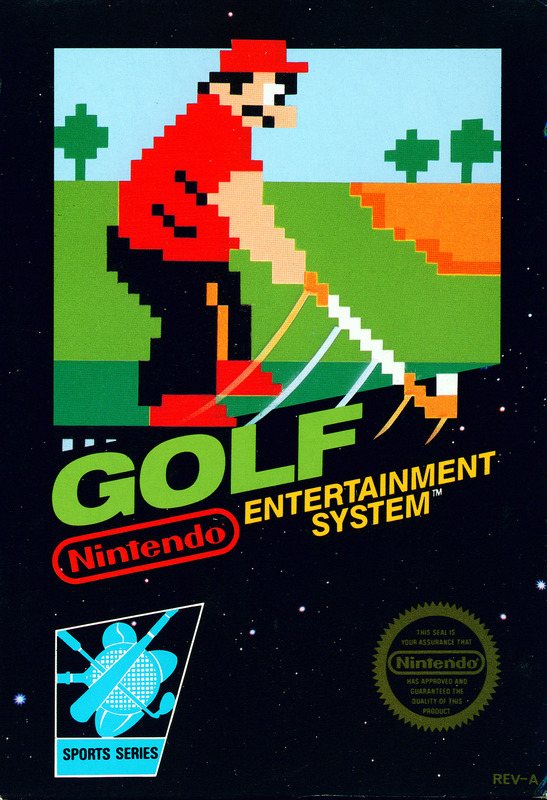 So play Nintendo GOLF, because there's not a video golf game on par with it anywhere! Nintendo GOLF lets you choose your clubs, change your stance, control your swings - even select the angle of impact! You'll view the hole from both close up and far away, judge the changing conditions of the green, and measure the wind velocity. But watch out! When the wind changes, so does the flight of your ball. 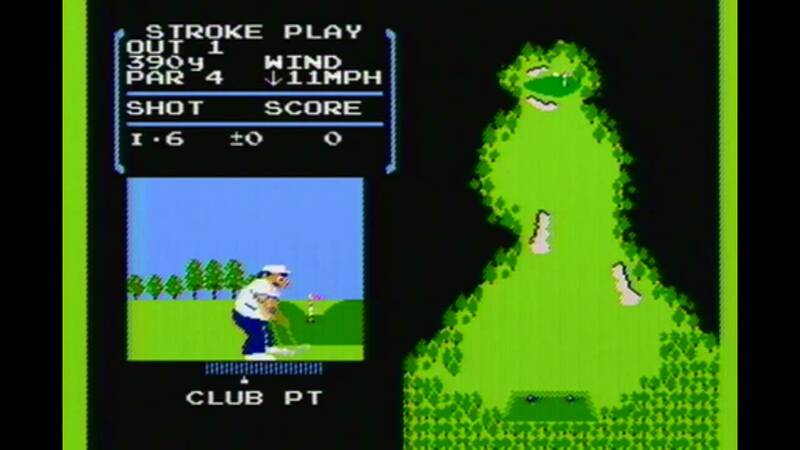 With Nintendo's state-of-the-art graphics and realistic game play, you'll really believe you're on the fairways. 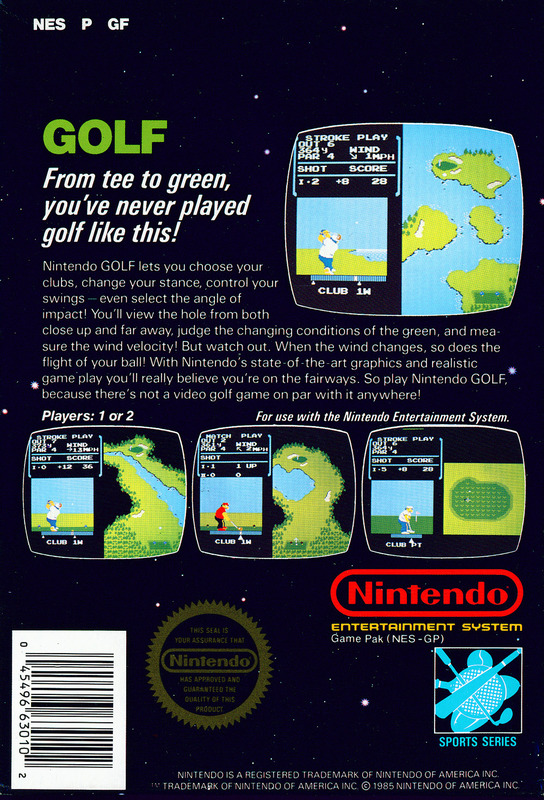 So play Nintendo GOLF, because there's not a video golf game on par with it anywhere!